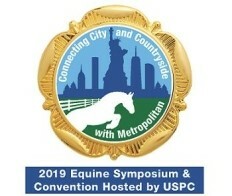 Attend the 2019 Equine Symposium and Convention hosted by USPC, Jan. 30-Feb. 3 and connect city and countryside with the Metropolitan Region. Onsite Registration is available at The Hilton Stamford Hotel in Stamford, CT, and we can’t wait to see you there. One of the awesome things about the Pony Club website is the ability to list local and regional events on the National Calendar. To submit an event, start by logging into the website, go to the Events tab, visit the Calendar page, and on the left hand side you will see "Submit an Event." Click on the link and fill out the form with information about your event. We encourage everyone to include their Regional and local Pony Club events on the calendar for potential cross participation.